“Our machines are popular because they are easy and ergonomic to use,” Karin Nars says. Finnish company Dinolift Oy has designed and manufactured high-quality DINO mobile elevating work platforms for more than 40 years. Today, customers around the world trust the company to take them up to the job. Dinolift is also fully committed to continuous product and service development. Thanks to the company’s large product development unit, products and production can be adjusted to meet new business challenges swiftly and flexibly. Dinolift’s DNA is based on a very Finnish character trait – reliability. When Finns promise something, they tend to keep their promise too. “Our customers get our full support from the moment they invest in a Dino. For us, reliability is a source of pride and the foundation for good customer service. 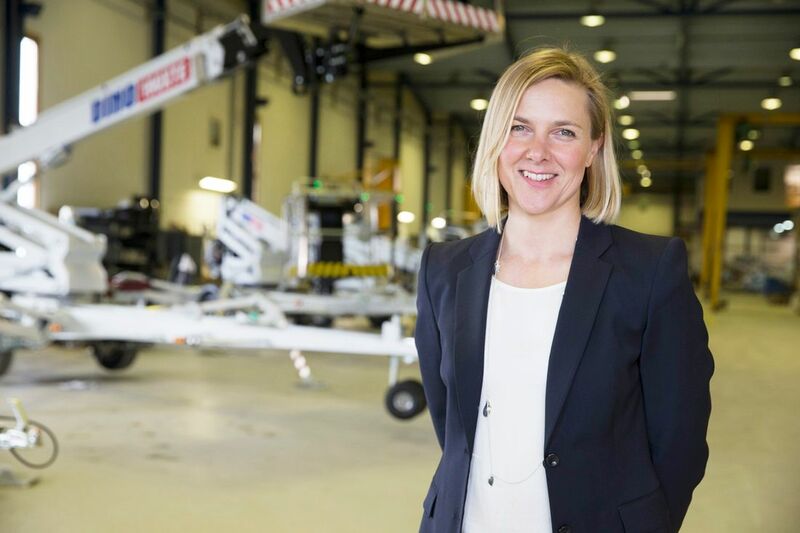 When our work platforms enable people to do their jobs safely and efficiently, we as a company are up to the job,” says Karin Nars. Dinolift Oy is a manufacturer of mobile elevation work platforms with an export rate of 85% of production. DINO lifts have been sold in more than 40 countries all over the world. The main market areas are the Nordic countries and Northern Europe.